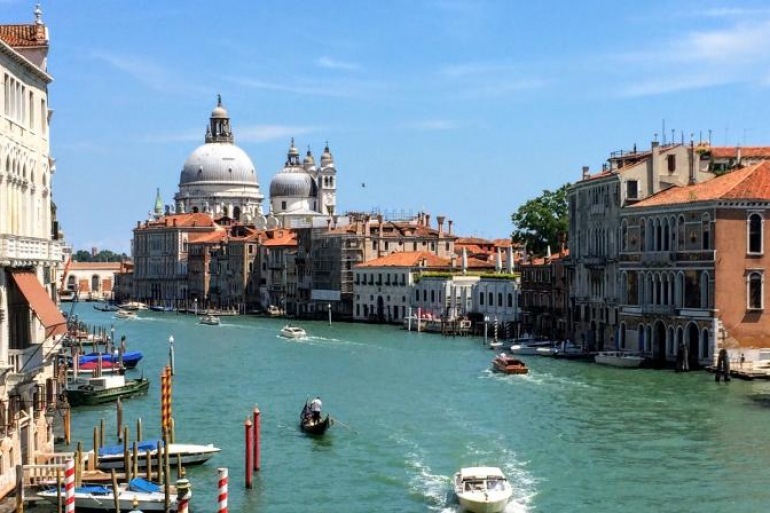 Today, you will depart the home airport on your Transatlantic flight bound for Venice, Italy. The Port city of Venice, Venezia in Italian, is located in the regon of Veneto. "Today join your Tour Captain and our local guide on a specially guided tour of the city of Florence complete with our Special Access sightseeing immersion." Consider a visit to the Basilica di Santa Croce (Basilica of the Holy Cross) or just explore at your leisure. This Basilica is the principal Franciscan church in Florence, Italy, and a minor basilica of the Roman Catholic Church. It is the burial place of some of the most illustrious Italians, such as Michelangelo, Galileo, Machiavelli, Foscolo, Gentile, Rossini, and Marconi, thus it is known also as the Temple of the Italian Glories (Tempio dell'Itale Glorie)." Accomodation: Deluxe: Hotel San Michele, Villa Marsili, 2 Nights — Includes STORY Laundry Service. Unique Character: Uphill walking with stairs and cobblestoned streets. STORY Exclusive®: Admission, Tour and Wine Tasting at our Estate located in the heart of Tuscany. Beautiful Property with stunning views, delicious varietals paired with sumptuous delicacies. You won't want to leave. Included STORY Way® Dining : Join your Tour Captain for a special welcome dinner at one of our favorite restaurants in Cortona. It is truly a treasured find where the cuisine and wine delight in the magical ambiance of this delightful hill town. >Our expert, local Italian guides in Venice, Florence and Rome speak English well, and possess a passion for sharing Italy with our guests. >Private, Expertly Guided Touring with an easy pace and perfect-balance. >Our delightful included lunch experience is at our wine estate in Tuscany featuring a tour of the facilities with an absolutely beautiful presentation of Italian wine paired perfectly with delectable Tuscan cuisine from the region. STORY Way® Dining: Welcome Dinner and Farewell Celebration and Feast - a total of 5 dinners with wine and gratuities included for Deluxe package. Classic: 1 included, upgrade to 5 total for $390 per person. Discovering Italy's Cuisine: Our winery experience includes a dramatic luncheon experience. Other lunches are not included. Our Tour Captains will offer great, affordable suggestions for delicious lunches everyday. Travel Protection is not included. STORY Land and Sea® recommends that you purchase a travel protection plan to help protect you and your travel investment against the unexpected. All land services are 100% refundable up to 90 Days before the tour departure date unless otherwise stated.